Unfortunately, the criminal gangs that control many cities and neighbourhoods in Jamaica at Christmas time are also responsible for this. The state of Jamaica, which has been described as a „failed state“, has for several times declared a state of emergency because many quarters and cities are completely out of the control of the state and the police. The inhabitants turn to the „dons“ of the respective gang if they have concerns. As „Godfathers“, these not only lead their respective criminal unions, but are also in full control of the neighbourhoods. 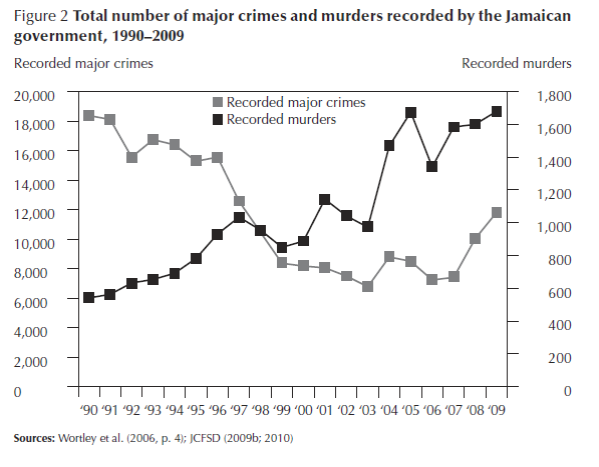 Jamaica has therefore been experiencing a sharp rise in murder and manslaughter in recent years. So the capital city of Kingston in 2018 occupies the 16th place among the most dangerous cities in the world. The gangs are responsible for 80% of all cases of violent crime. Gang Violence in Jamaica. Small Arms Survey, 2010. When Mr. Josef came to Jamaica from Britain a few years ago, he planned to stay a little longer because he had not been to the island since the 1960s. Like many others of the so-called Windrush generation – named after the ship that brought the first Jamaican guest workers from the then non-independent Commonwealth country in 1948 to England – he came to England as a child and received a permanent residence permit („indefinite leave to remain“). Between 1960 and 1980, more than 600,000 of today’s 2.9 million inhabitants on the island – often descendants of the slaves living there – emigrated. Many of them to England. After all, even today, Queen Elizabeth II remains the head of state in the democratic monarchy. When Mr. Josef then decided to return to London, he was informed there at the airport that he had no right of entry and returned to Jamaica. Under the government’s ‚hostile environment‘ policy, he was required to demonstrate/prove his continuous residence in the UK, something he was unable to do due to new identity papers and the government’s destruction of older documents. It was just before Christmas and Mr. Josef initially went to relatives. He tried to clarify his concerns from there, but no one had told him that, once outside the UK, he was no longer entitled to legal aid from the state. 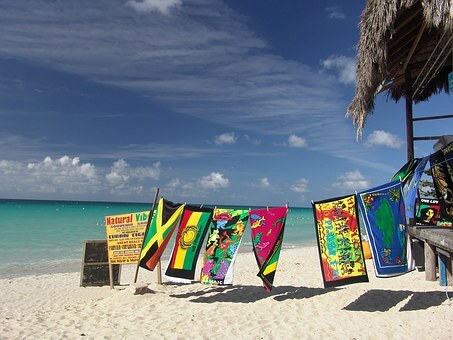 He was unemployed, homeless and after a time with the relatives also stranded in Jamaica. He could not pay a lawyer to pursue his request. As a foreigner, he was neither considered a Jamaican nor was he accepted as a British citizen. It was not the last Christmas he was supposed to spend in Jamaica under dramatic circumstances. He did not want to get used to the exorbitant crime, the gang regime or the Jamaican „Way of Life“. 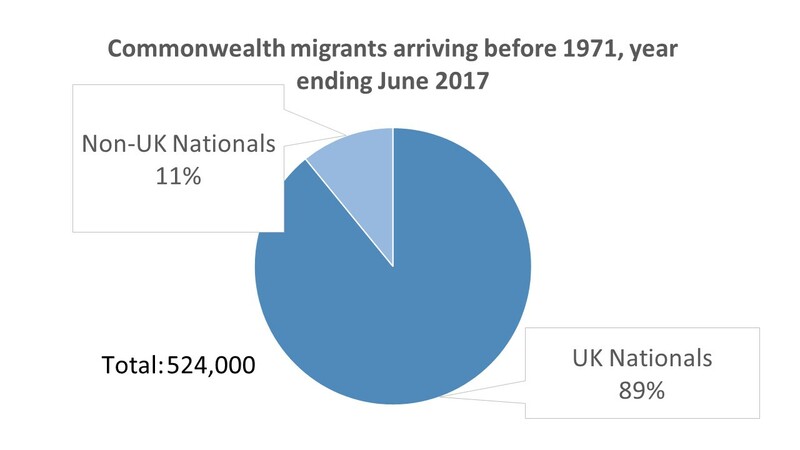 Around half a million people, most of whom live in Britain today and arrived from Caribbean countries between 1948 and 1971, are known as the Windrush generation. They were given a permanent residence permit, but thousands of children arrived without their own documents. When the Immigration Guidelines were changed in 2012, they often could not prove that they were in the UK continuously. Some were then deported to Jamaica or detained even though they spent most of their lives in the UK. The responsible Home Office has not filed any records on these immigrants who have been granted a permanent residence permit and in 2010 destroyed the landing cards of the Windrush migrants. It was not until April 2018 that the press exposed this scandal. The British government has apologized in the meantime. Unfortunately, this postcolonial treatment of former affiliated colonies as second-class citizens is no exception, but is sometimes part of the politics of colonialist states. The citizenship rights granted to the indigenous people by descent (jus sanguinis) and / or birth on the national territory (jus soli) constitute for all others a prescriptive bureaucratic hurdles – if they do not meet the national goals of immigration. The hurdles remain partly unspared for the formerly enslaved subjects of the former colony who were then only welcome as „guest workers“. Sometimes these hurdles do not adhere to the previously promised agreements or the previously applicable rules. Even in Portugal, the citizens of former colonies often received only limited citizenship rights before becoming self-employed. In Japan, the Koreans living there became stateless with the Korean War; Neither North nor South Korea was recognized as a sovereign state by the Japanese government because it still regarded the Korean peninsula as a Japanese territory because of their de jure claim. It was not until 1965 that those Koreans, who emigrated to Japan, were allowed to become South Korean (!) citizens. Since the 1980s and 1990s, state discrimination against non-naturalized Koreans has progressively been phased out: protection against deportation and full access to the social, health and education systems – but not the right to vote. Social discrimination, for example in the labour and housing markets, persisted. To date, many Korean immigrants have not become Japanese citizens. But Japan is not Jamaica. As a tourist it may be nice to spend Christmas there, but not as a deportee. For many, this has been amended by the British government, but many have involuntarily left Jamaica without money and in need. Let’s hope the British government is helping them too. Arias, Enrique Desmond. Criminal organizations and the policymaking process. Global Crime, 2018. BBC. Windrush generation. Who are they and why are they facing problems? 2018. Cho, Young-Min. Koreans in Japan: a Struggle for Acceptance, 2016. Gentleman, Amelia. ‚My life is in ruins‘: wrongly deported Windrush people facing fresh indignity. The Guardian, 2018. Hazlehurst, Kayleen. Gangs in cross-cultural perspective. Gangs and Youth Subcultures. Routledge, 2018. Itagaki, Ryuta. The anatomy of Korea-phobia in Japan. Japanese Studies, 2015. Jackson, Asheka. Gang Risk Factors among Urban Jamaican Youth: A Qualitative Analysis. International Journal of Criminal Justice Sciences 11.2, 2016. Leslie, Glaister. Confronting the don: the political economy of gang violence in Jamaica. Geneva, Switzerland: Small Arms Survey, 2010.